In year 2013, Nature is unhappy with the secret human societies in the state of G ----> universal gravitational constant. Thus we see the Nature's gravity communications agents ... that is ..... humans composed of organic molecules at Georgia TECH. Faculty · Staff · Research ... Research programs in organic chemistry include initiatives involving the synthesis of complex molecules, synthetic methodology, and . James Earl "Jimmy" Carter, Jr. (born October 1, 1924) is an American politician who served as the 39th President of the United States (1977–1981) and was awarded the 2002 Nobel Peace Prize, the only U.S. President to have received the Prize after leaving office. Before he became President, Carter, a Democrat, served as a U.S. Naval officer, was a peanut farmer, served two terms as a Georgia State Senator and one as Governor of Georgia (1971–1975). Newton Leroy "Newt" Gingrich (pron. : /ˈnjuːt ˈɡɪŋɡrɪtʃ/; born Newton Leroy McPherson; June 17, 1943) is an American politician, author, and political consultant. He represented Georgia's 6th congressional district as a Republican from 1979 until his resignation in 1999, and served as the 58th Speaker of the U.S. House of Representatives from 1995 to 1999. Gingrich was a candidate for the 2012 Republican Party presidential nomination. Gingrich at a political conference in Orlando, Florida. Let's look at the state of G (gravity Georgia) and the organic chemistry secret CARBON social science agents mentioned above. Let's consider their feature ...... but first, let's review EARTH systems and project Goe --> Gravity order entry interface systems with European agents Isaac Newton and Goethe. 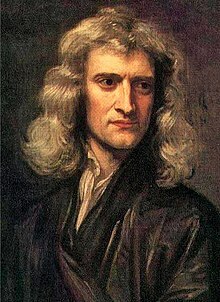 Godfrey Kneller's 1689 portrait of Isaac Newton (age 46). 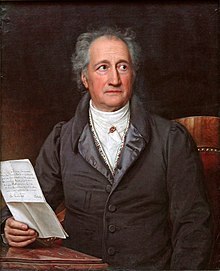 Johann Wolfgang von Goethe (German: [ˈjoːhan ˈvɔlfɡaŋ fɔn ˈɡøːtə] ( listen), 28 August 1749 – 22 March 1832) was a German writer, artist, and politician. His body of work includes epic and lyric poetry written in a variety of metres and styles; prose and verse dramas; memoirs; an autobiography; literary and aesthetic criticism; treatises on botany, anatomy, and colour; and four novels. In addition, numerous literary and scientific fragments, and over 10,000 letters written by him are extant, as are nearly 3,000 drawings. Johann Wolfgang von Goethe's Faust is a tragic play in two parts: Faust. Der Tragödie erster Teil (translated as: Faust: The First Part of the Tragedy) and Faust. Der Tragödie zweiter Teil (Faust: The Second Part of the Tragedy). Although rarely staged in its entirety, it is the play with the largest audience numbers on German-language stages. Faust is Goethe's most famous work and considered by many to be one of the greatest works of German literature. Goethe finished writing Faust Part Two in 1831. 2) Goethe and gravity social sciences and ...... gravity field interaction with human brain mass giving gravity grammar school languages that are gravity language subsets within the larger Germanic and English languages. Looking at Nature's levels of Sartre existential expression in recent times ......we see major messages. Home of the 39th President of the United States Jimmy Carter. Official homepage of Plains. Can Georgia Tech explain --> Plains, Georgia? Can Georgia Tech explain --> Base 16 hexadecimal and the EARTH geography computer address 1600 Pennsylvania Avenue. President JCL --> Jimmy Carter Land --> JCL = Job Control Language goes to Base 16 address region 1600 Pennsylvania Avenue to be a bio-computer vio-gravity president that interfaces with Computer Earth system 370 and its various formats: gravity field , magnetic field, and the organic molecule continuums. Home of the 39th President of the United States Jimmy Carter of of Plains, Georgia ........word equation translated ..
.......atomic mass 39 Potassium atom .........................carbon explains G = gravity constant 6.67 x 1o-SKU 11 . Thus we have the gravity interaction with MASS in the periodic atomic table ...... Nature's intellectual process not recognized by Georgia TECH. Thus the President Carter and his empircal data role in the 11-dimensions of string theory physics, Earth parallel universes. etc. The 2nd of Natures's TEST specimens is Newt Gingrich...whose noble mission was to provide empircal data on the gravity field/organic molecules interaction that results in humanoid political science expressions. Below we see the Carbon 6th district of Ne (Neutrons) that ..... amplify/enlarge their signal VIA the human DISPLAY entity named after (Neutron) Newt. Notice the Carbon 6th Ne particle has atomic mass ....but needs gravity to convert mass to weight. Thus the atomic bio-physics humanoid converter with EARTH LAB identifier Newt G.
The Georgia organic chemistry government of Nature ...... in the carbon 6th distrist of 6 neut (neutron) add the Gingrich gravity interaction to yield a newt ...that is newt = ne + wt = neutron weight. Atomic carbon is a very short-lived species and, therefore, carbon is stabilized in various multi-atomic structures with different molecular configurations called ........ 6th Congress District of Georgia with President Jimmy Carbon. Thus we see Nature's VIEW of gravity and organic structures in humanoid formats and the gravity field/molecular political science rituals. Remember, that humans are subsets embedded within the multi-faceted dimensions of Nature expression FORMATS.